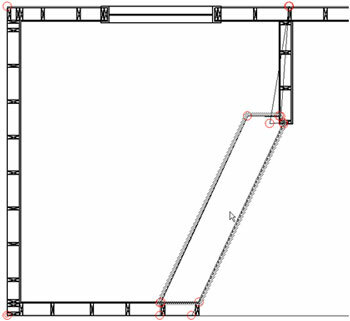 You can simulate a split level floor plan by using the Flooring feature in Cabnetware V 8.3. 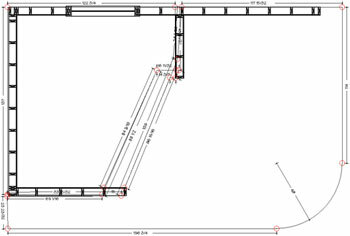 In this example we will have two levels of flooring separated by a step. 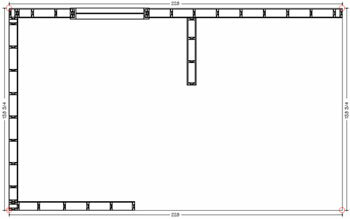 1) First draw the wall layout for the room(s). Make the walls high enough for the tallest cabinets. 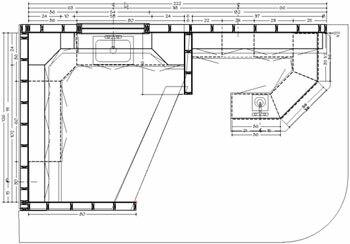 The initial floor level at zero will generally follow the wall layout. 2) View the Flooring layer and add a couple of break points near where the floor level will change. 3) Move the break points close to where you want the floor level to change. 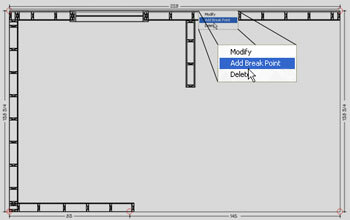 Choose a break point and then pick Break Floor (Break Points) from the <RB> menu. 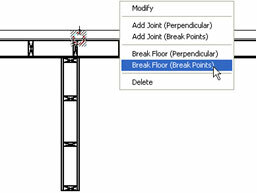 Select one break point and then the other break point to form a break line in the floor. 4) Now add more break points and move the points to the area you want the floor level to change. You don’t need to be precise. 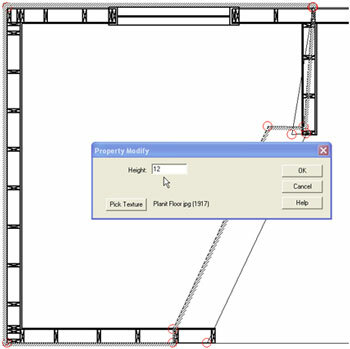 Double click the floor level you want to raise and enter a Height value and a texture if desired. 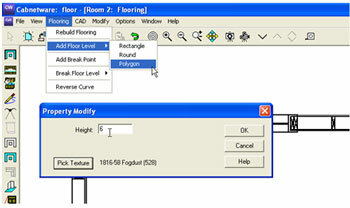 5) Choose: Add Floor Level – Polygon and input a height and Texture for the step. 6) Snap the points of the new floor in a clockwise trend to connect the other levels. 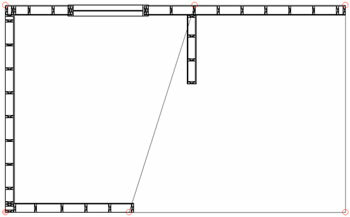 7) Shape the remaining floor levels if desired. 8) Finally, finish detailing the cabinet layout. 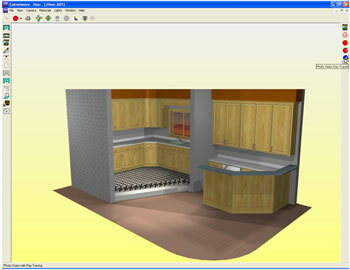 Remember the base cabinets will recognize the raised floor level. The uppers will need raising and possibly the appliances.